My mother was craving for Vietnamese food, and whatever the lady wants she gets, according to my father! I have never been to this place before, actually, I don’t even think I have been to the suburb! Berala which is near Parramatta – I have of course heard of Parramatta, but Berala? I had no idea where it was. Apparently this is one of Mum’s favourite Vietnamese restaurant, food and value fantastic, service ‘so so’ but I think the food makes up for the ‘so so’ service. Thankfully, my brother drove us, otherwise we would be seriously lost and that would be embarrassing! It’s ok to get lost in Hong Kong (as I do now) but not in Sydney. When we arrived, we were told that we had to wait for about 5 – 10 mins. I noticed the name of the restaurant – Gourmet Noodle House. When I hear the word “gourmet” I automatically think of a high quality / high end restaurant. This place was definitely not ‘gourmet’ or a high end restaurant, far from it actually! However, I was pleasantly surprised at the quality of the food! 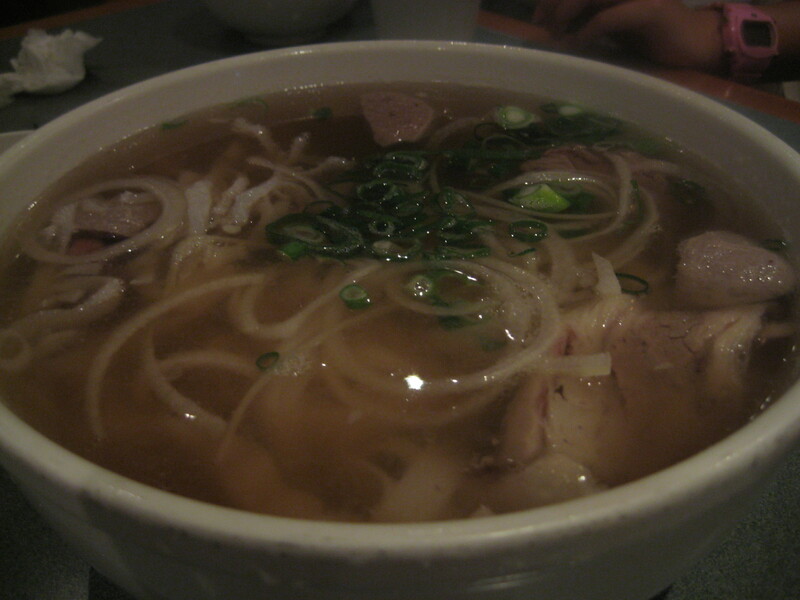 Mum was craving pho so we ordered a bowl of the special beef pho. It came in a HUGE bowl, bigger than my head and it was fantastic. I would say that it was one of the best pho I have had for a while. The soup was fantastic, very ‘traditional’, like the ones you get in Cabramatta or Bankstown. 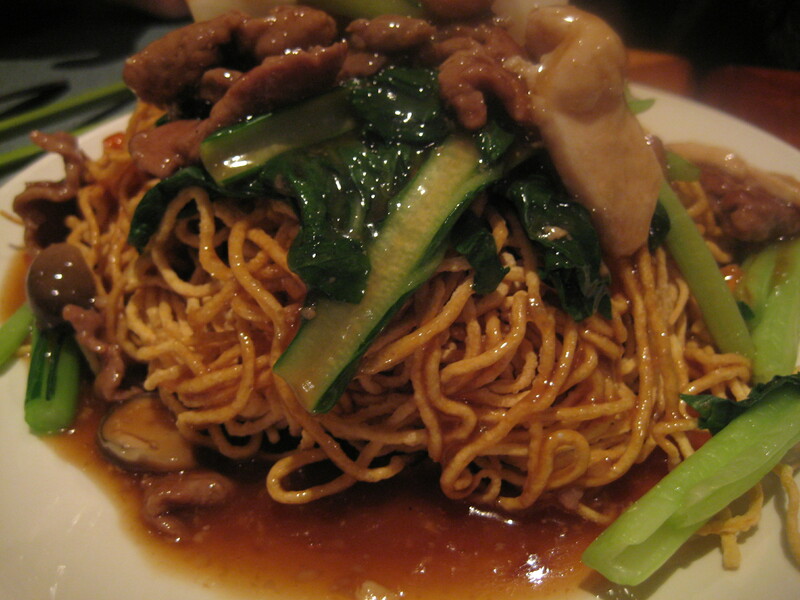 The noodles soft, and the ‘special’ beef was a mix of beef balls, beef tendons and thin cuts of beef. 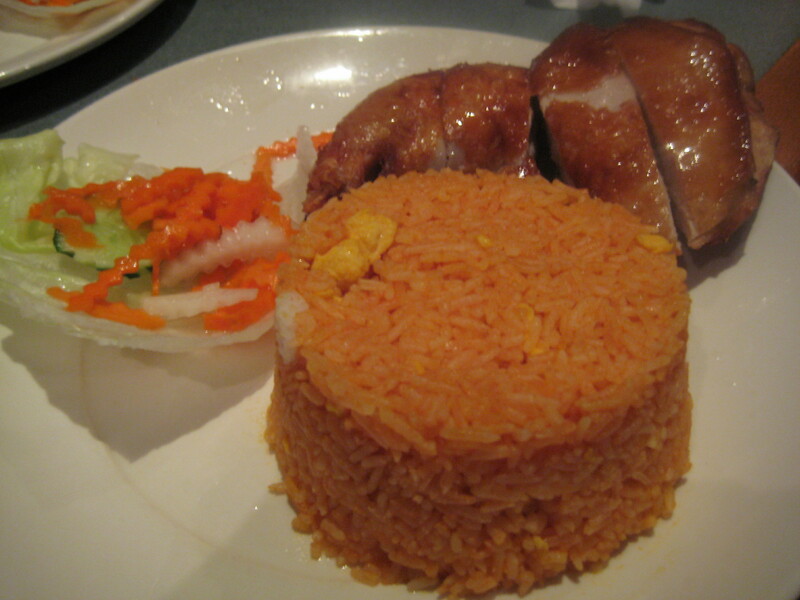 My favourite Vietnamese meal is fried chicken with tomato rice! Every time I go to a Vietnamese restaurant, I would order this dish. I can’t seem to go past the tomato fried rice! The fried chicken was tender, and the skin was incredibly crispy! It was fantastic! 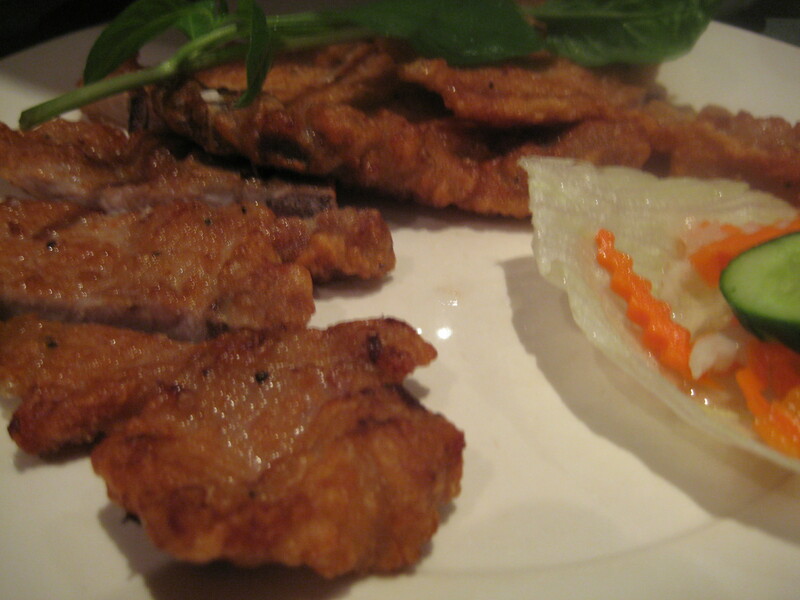 We ordered a couple of fried pork chop for my brother – being Indonesian, we do like fried food! The pork chop was tender, however, it would have been better if it was more meaty! I thought it was a little thin for my liking. Next came the noodles with beef and vegetables stirfry. The noodles were oven baked and extremely crispy and crunchy! The stirfry sauce was a great compliment. You get a mix of the crunchy and soggy noodles, which tasted so much better than it sounds! My brother really enjoyed this dish! 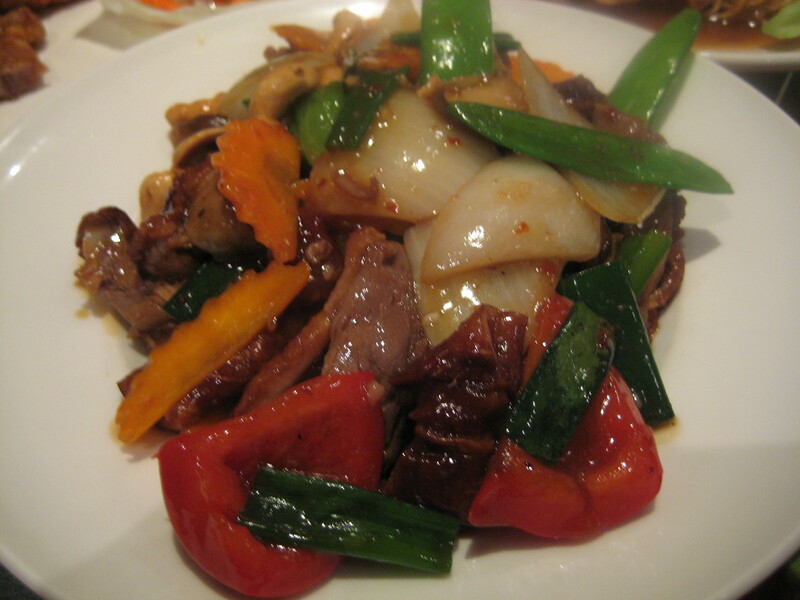 We also ordered the chili duck stirfry with cashew. I love duck, and the duck was unbelievably tender! The chili really gave it a nice kick. 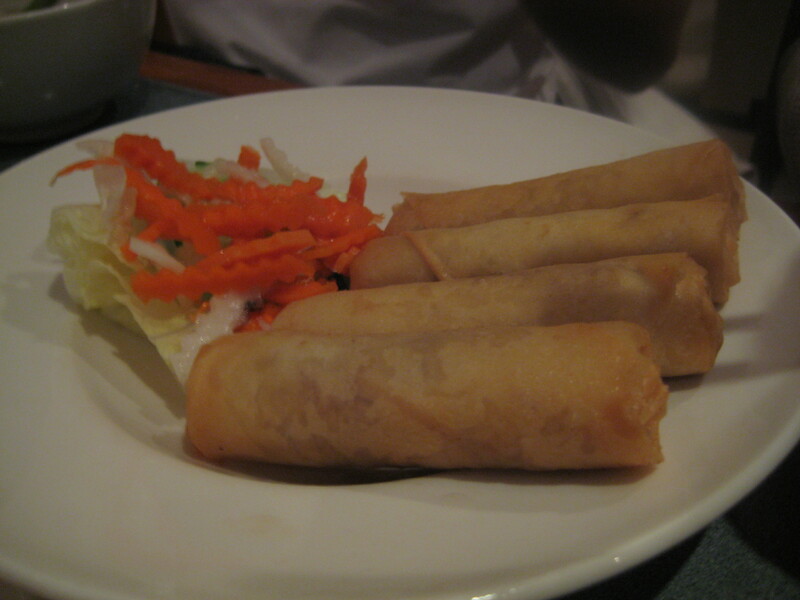 And lastly, spring rolls. I thought the spring rolls were so so, it wasn’t the highlight for me. The highlight would have to be the deep fried chicken and the chili duck stirfry.